Opening the app does indeed show the manual. But the app installs an AUv3 plugin that is available in host DAW apps. If you are not familiar with AUv3, I suggest starting with GarageBand. You can add the plugin as an effect to a GarageBand instrument track. In GarageBand, tap "Plug-ins & EQ". Then tap "Edit". Tap a green plus sign button to add an effect in an empty slot. Then you will see "Audio Unit Extensions". 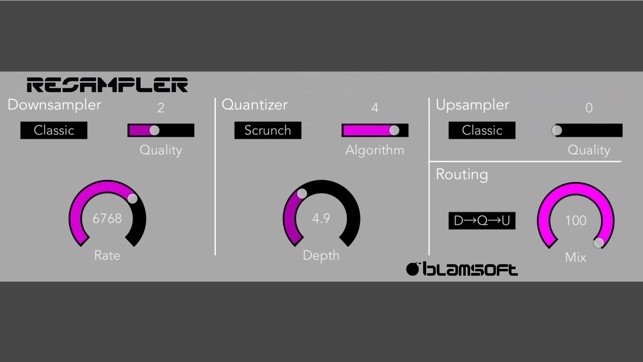 Choose Resampler Bitcrusher from the list.